Since 2014, Client Representative Jurian Scholten has worked with Atlas’ Offshore Management & QC team based in Bristol. As an Offshore Geotechnical/HSE Client Representative, Jurian is responsible for representing the clients technical, commercial and safety interests onboard the vessel. Some of the major oil companies he has worked for include: Shell, Total and DONG energy. Currently, Jurian is working on the OWF project in the bay of Saint Brieuc in France. This is a prestigious project, as France sets its goal of 23% final energy consumption to come from Renewables by 2020. Jurian spoke to Atlas about his role as a Geotechnical Client Rep on the OWF Project. 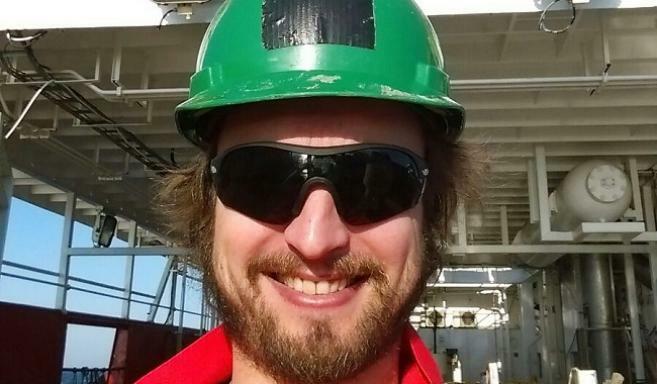 “In June, I started working onboard the Fugro Gargano for this wind farm,” says Jurian. “The Geotechnical survey for the project began in mid-June and as acting Client Rep I’m responsible for ensuring that the operations run smoothly. A Geotechnical survey was carried out in 2012, however, this new campaign will identify the characteristics of the soil sediment before the installation of turbines. In my role, the acquisition of data is very important as it determines the compressive strength, permeability and the longevity of the turbine foundations. I will observe all the data that comes in to check for any anomalies before reporting to the client. “I’ve mainly worked with Grant Johnston and I also have a good working relationship with the rest of the Management & QC team. It’s good to see that Grant has a personal interest in our work and progression. We had been working on the project for about a month when Grant visited us in Saint Malo. It’s good to talk to him face-to-face about the project and how it’s going, visits like that are always appreciated.